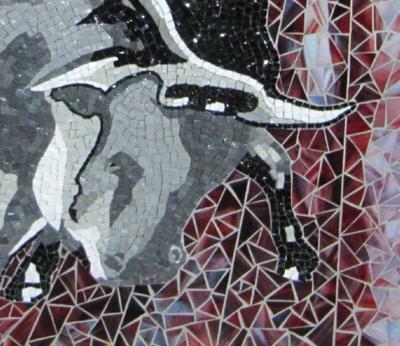 The bull is made from smalti and the background coloured glass. This is my latest commission. The owner's name is 'Taurus' meaning bull in Greek. 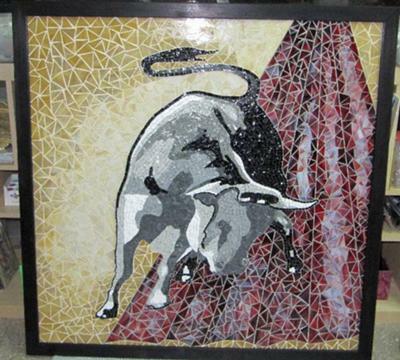 Hence the bull!